The median sales price of existing single-family homes rose across the Sacramento region in February compared with the same month last year, while newly built homes accounted for a larger share of the region's residential real estate market, CoreLogic reported Thursday. In Sacramento County, where the vast majority of homes in the capital region trade hands, the median sales price was up more than 6 percent in February compared with February 2017. It rose from $310,500 to $330,000, the Irvine-based real estate tracking firm said. Placer, Yolo and El Dorado counties also saw significant year-over-year increases in the median sales price of detached resale homes. The median is the price at which half of homes sell for more and half sell for less. Changes are driven by rising prices and the mix of homes sold. 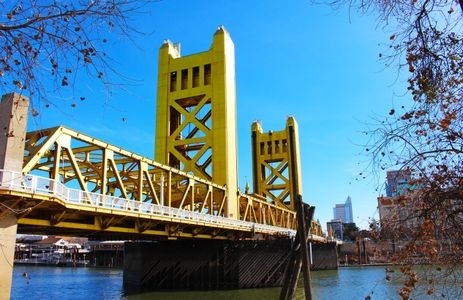 The median sales price of resale homes in Sacramento County homes has more than doubled since the depths of the housing collapse in late 2011 and early 2012, when it bottomed out at $155,000, according to CoreLogic. It's still short of the peak of the housing bubble in 2005, when the median reached $374,000. Also in February, sales of new homes rose dramatically from the same month last year in Sacramento County. Builders sold 153 new homes in February 2017; they sold 223 new homes in February 2018 – a nearly 50 percent increase, CoreLogic reported. Many of those sales were in North Natomas, where home building resumed in earnest last year after the lifting of a de facto construction moratorium imposed by the federal government. The moratorium was based on concerns about the potential for catastrophic flooding in North Natomas. It was lifted after a huge levee improvement project won approval in Congress. Natomas is one of the few places where average-earning Sacramento-area families can afford new homes. It has been a center of construction for starter homes and for "active adult" communities for those 55 and older.